Winners leave very little to chance. Elite athletes are very globally in tune with their capabilities and are rarely surprised by their performance. Taking guesses at what you are going to press or pull in a contest is a huge mistake when you are limited to three attempts (some contests allow everyone to go until they miss and the only decision you need to make is where to jump in). Having a proper strategy and training for those numbers is key to performing your absolute best when it’s all on the line. Before I tell how how to determine numbers for a max overhead, let’s go over a few principals I hold dear as a coach. True maximum lifts are reserved for contest conditions where they are necessary. Going for your limit ups the risk of injury, especially without a prior peak period. Besides, it really only matters under true conditions, so why risk it. Being comfortable with heavy weights is all part of being able to hit a true maximum lift. If singles are programmed in, it should still be a number you are going to make unless you are having an off day. Let us say for example that your best contest log lift is 300 pounds. Working singles at 95% translates to 285. This is a reasonable number to hit for a triple series of one rep. If you are in stride and that weight is feeling light just go up five pounds total and try one. No need to take 100% unless you have been making huge strides since your last contest (unless of course you run into the following scenario). It may be two years between contested maximums. If that is the case continue to keep increasing your training weights past your contested best. In 12 months your gym number will often surpass your true best, (nevertheless your PR is still what it was under contest conditions) but you will now need a Working Personal Record (WPR). When your WPR goes beyond your true PR you will substitute that number when making a contest decision. All of these techniques allow you to use more weight then you would on a standard overhead and will make you more comfortable with the weight you plan on using, conditioning your muscles and joints for the lock out. Two to three weeks prior to your contest you should have a very good idea of what you are capable of for a solid heavy single. We will use your numbers to decide how to proceed in the contest where you will be peaked after maximizing your recovery and recovering during your deload week. Choosing your opener should be easy. This is a weight you never miss for two or three reps. Let’s say for example we are going for a contest max log press and you have been hitting three reps with 285 for three sets of three. Open with 285 and get yourself on the scoreboard and into the game. This would translate to about 90% of your maximum, and if you have been doing heavy singles that you rarely miss a calculated 100% (your WPR) would be 313 pounds. Referring to the initial example of a 300 pound max, your best (on paper) is now up thirteen pounds. Your second lift should not be a gamble and I recommend breaking your previous PR by five pounds. This weight should be comfortable for you, another guaranteed make and a personal win with a new PR. Now, you may have a decision to make but it should be fairly easy. As we said previously, 313 is your calculated max. I would advise my athlete to go for 315 if it does not affect their placing. If hitting 320 could secure a win or a large accumulation of points, you may consider pushing the envelope. It would depend on how you feel that day, the rest of the events contested and how you plan on placing on them. I would never though expect to hit much more than that and be successful, especially if you have been training correctly and not sandbagging sessions. All in all, hitting a new max is very rewarding and can renew your passion for the sport. 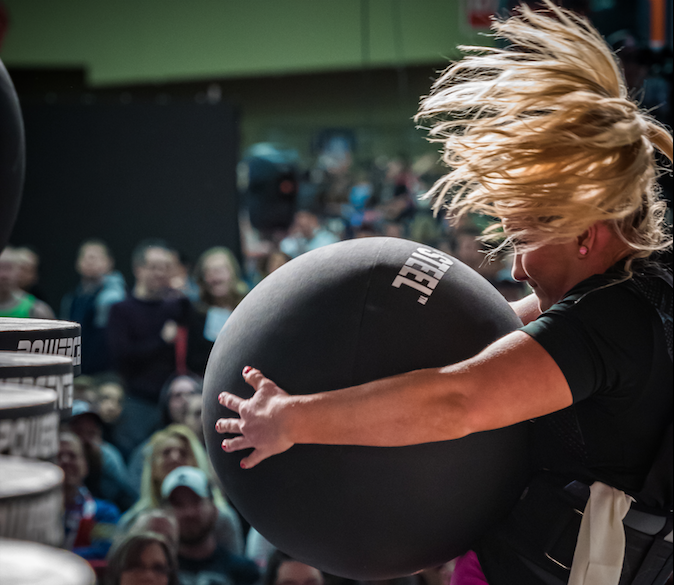 While not the most common event in a contest, when the opportunity arises to pursue them it can be a fun break from the endurance game of 60 second maximum rep events. Don’t get too caught up in chasing maximums year round, but be smart when given the opportunity.